Those looking to brighten their home this winter could turn to the wide selection of bright or colourful antiques on offer during the next edition of 'Art & Antiques for Everyone'. Lamps and lighting are, of course, an ideal choice for illuminating darkened rooms as the days get shorter. From vintage ceiling lights and table lamps to antique lanterns, there is a wide variety to choose from at the fair, which runs at Birmingham’s NEC from November 15-18. For example, Steve Bentley brings a c.1890 gaslight with a Vaseline glass shade by John Walsh Walsh. 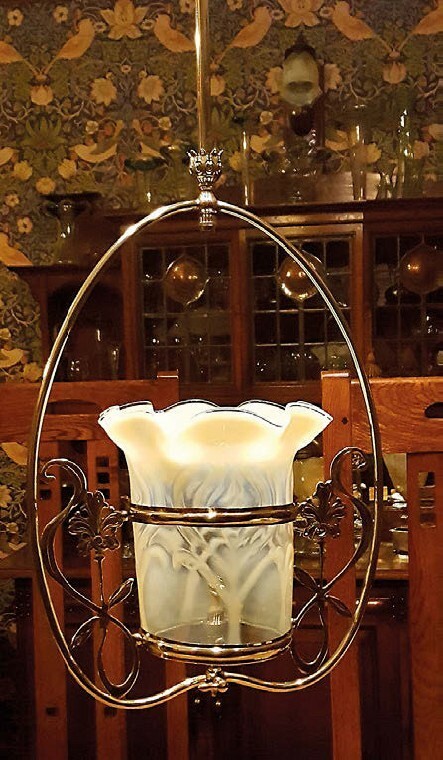 The distinctive coloured glass is of a type that was in vogue during the 19th and early 20th centuries. Made by combining uranium into the glass mix before melting for colouration (the pieces are not radioactive), the yellow-green hue is much sought-after. 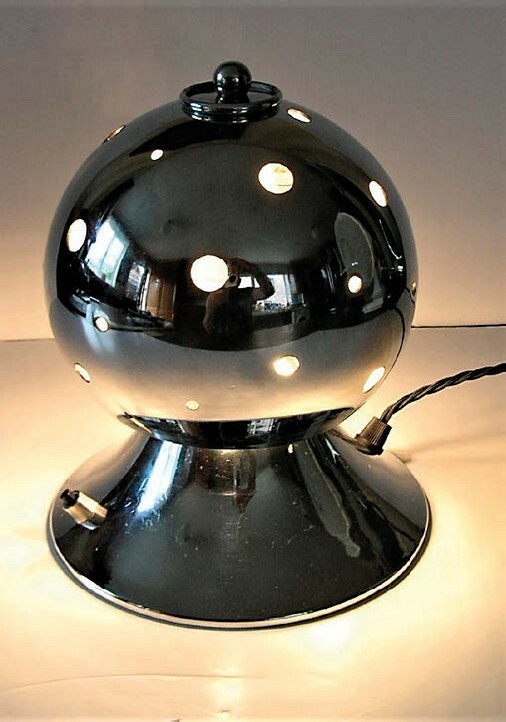 Meanwhile, Art Deco specialist Dave Hornikunger, trading as Deco Dave, offers a modernist chrome ‘Sputnik’ table lamp from the 1960s. It features six bulbs that allow for the position of the light to be changed and is one of several ‘space race’- themed pieces, including Saturn-ring lamps, that he will have on his stand. 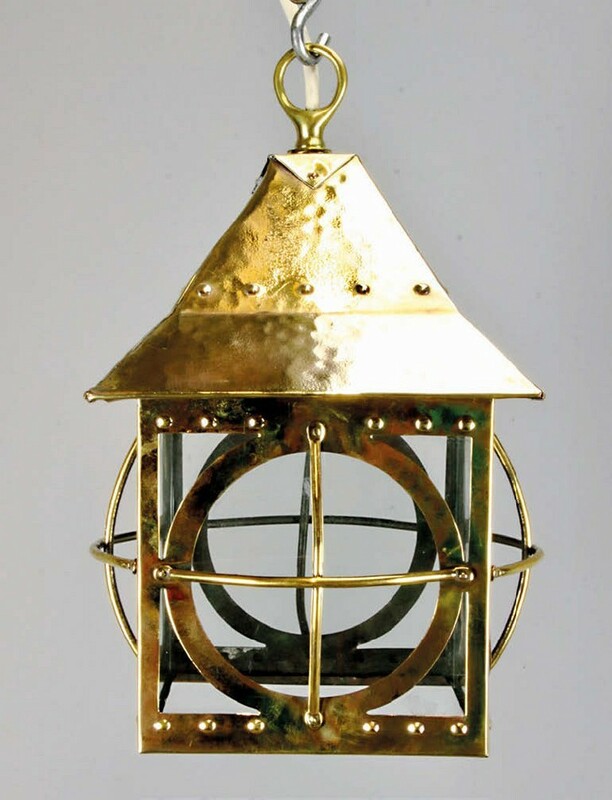 Level Antiques offers this Arts & Crafts brass and glass lantern, c.1900, for £195 at the ‘Antiques for Everyone’ fair. Another way to light up an interior is by picking objects of bright or rich hues. Other objects of distinctive colour are a bright blue Royal Copenhagen ‘eye’ vase from Lynways Interiors, a specialist in Scandinavian ceramics and glass. 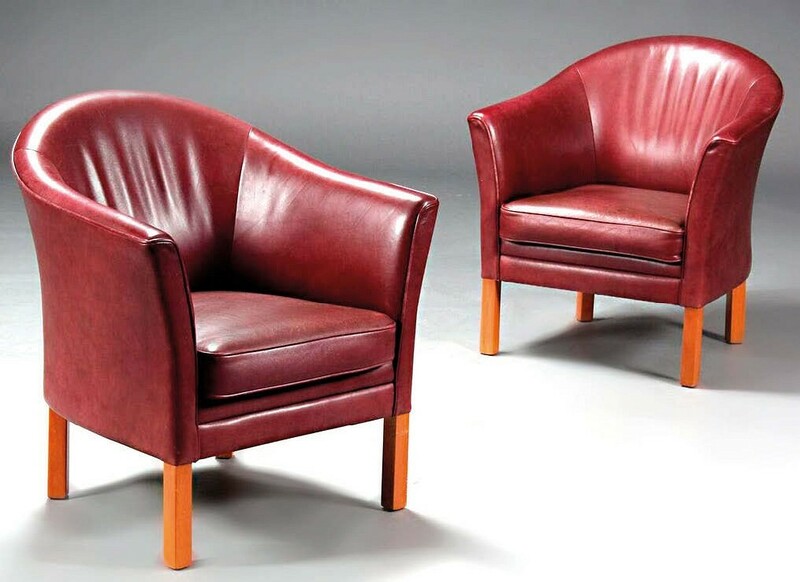 A pair of crimson leather chairs and matching sofa, designed by Mogens Hansen and made in 1970s Denmark, are on the stand of Scandinavian by Design. Chester’s Farm Antiques offers this large Wedgwood charger, featuring a painting in barbotine by Samuel Bateman, for £1950 at the ‘Antiques for Everyone’ fair. 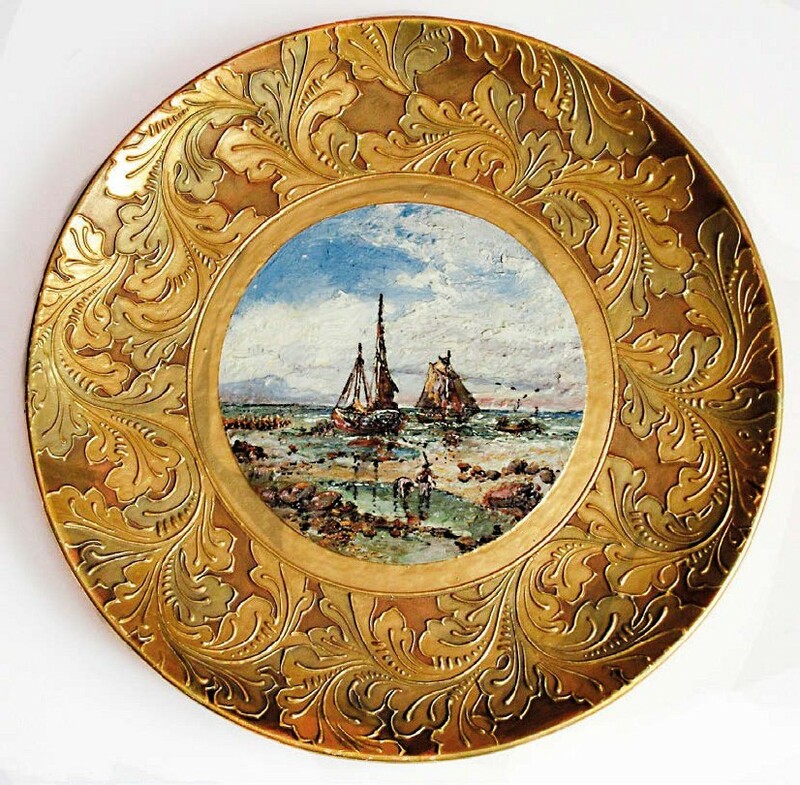 Elsewhere, Chester’s Farm Antiques brings a large 1887 Wedgwood charger which has a gold border in Auro Basalt design and a vividly coloured central roundel painted in barbotine and depicting a marine scene. Barbotine, a coloured clay slip, was used for moulding and decorating pottery. “There was a lot of experimentation with this technique,” says the dealership’s Tom Parry. “You can lay it on quite thick and see what colour will result. It became popular with actual painters.” The scene on this charger was completed by Samuel Bateman (b.1849), and the size and combination of the two techniques make it an unusual piece. Many dealers use the NEC fair as a chance to showcase their stand-out stock. Deco Dave says he spends the months between each edition of the fair building up a completely fresh collection of objects for each staging. Although plenty of top-quality collectors’ items are on offer, fine items to suit all budgets are also available, including a range at the stand of Chester’s Farms, with some original prints by Christopher Dresser for £35 each. An exhibition of more than 300 irons from the early 19th to the early 20th century is included at Antiques for Everyone where they will form the event’s regular loan show. Pressing Matters is staged by members of the British Iron Collectors (BIC) and includes examples of various heating methods. “We will be showing the development of irons with a selection from around the world,” says BIC representative Penny Savill, who added that it was for “collectors and anyone with an interest in domestic history”.